Skin Care Safety: More Than Just Good Advice | Resmini Law, LLC. After a long week at work, you’re ready to head to the beach with friends and family. You’re pretty sure you have everything packed and ready to go. You have your beach chairs, towels, snacks, drinks and the umbrella to keep you cool. You also have that book that you can’t put down and headphones to listen to your favorite music. As you begin your journey and battle the usual traffic, you suddenly realize that you have forgotten an essential component of any outdoor summer activity – sunscreen. You’re pretty close to the beach and don’t feel like driving back, so you decide you can go without it. Some people, for one reason or another, believe they don’t need to apply sunscreen when spending time outdoors. Maybe it’s because they consider it too much of a hassle and believe it will prevent them from getting that perfect tan they seek every summer. Maybe it’s because they can’t make sense of all the different products and determine which is the best choice for their skin. In any case, not applying sunscreen poses a serious risk to one’s overall health and increases the chances of contracting Melanoma – the most dangerous form of skin cancer. Whether you’re spending several hours at the beach or simply having a picnic in the park, you should apply sunscreen to exposed skin before setting foot outside. While many people are good about applying sunscreen before they begin their outdoor activity (ideally 30 minutes prior), they make the mistake of not re-applying every 2 hours. Others make the mistake of simply getting too much sun. 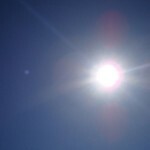 It is recommended that anyone who is spending time outside takes frequent breaks from the sun. Find some shade or make your own shade if you have to. It’s also a good idea to wear a hat and sunglasses to protect yourself from the sun’s harmful UV rays? 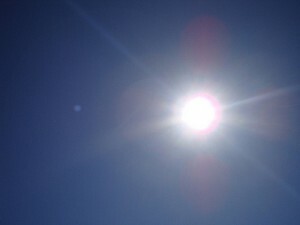 In a nutshell, Ultraviolet (UV) rays are one of many types of energy that is transmitted by the sun. There are three main types of UV rays, each of which differ by the amount of energy they contain: UV-A, UV-B and UV-C. UV rays are strongest between the hours of 10 a.m. and 4 p.m., which is also the period of the day when most people are outside. Unsurprisingly, UV rays are strongest in spring and summer. One common misconception about UV rays and the need for sunscreen in general is that if it is cloudy, little to no sunscreen is needed. This is far from the truth as sometimes UV rays can be partially or fully blocked by clouds, but often reflect and actually increase UV exposure. Those planning to spend time outdoors should check the UV Index – a scale that rates the harmfulness of the sun’s UV radiation on a particular day and time. Anyone who has purchased sunscreen before or seen an advertisement for sunscreen is likely family with the term, “SPF.” But what does SPF actually stand for and mean? SPF stands for Sun Protection Factor and is a measure of how much protection the sunscreen will provide. While sunscreens usually start at SPF 15, SPF 30 is typically recommended by most doctors and dermatologists. Also, if you will be swimming, be sure to go with a waterproof sunscreen. Beginning this Friday, July 8th, Rhode Island residents will be able to receive free skin cancer screenings at a number of local beaches. Stop by Easton’s Beach in Newport, this Friday from 4-6:30 p.m. to receive a screening, free of charge, and information about precautions one can take to reduce their chances of skin cancer. The full schedule can be found here.